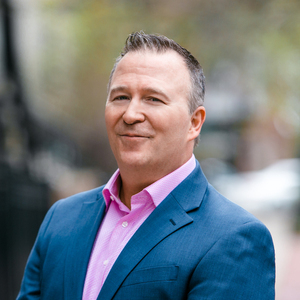 John is one of the original agents from the highly successful CONLON/Christie's International brand which recently joined forces with Compass Real Estate. He possesses over 18 years of experience in both residential and commercial real estate. John has consistently been recognized by the Chicago Association of Realtors (CAR) as a top producer and has also been saluted with the Silver Award for his commercial work in selling multi-unit buildings. John has sold many different property types: multi-million dollar single-family homes, luxury condos, mixed-use developments, and commercial spaces. As a former developer of multi-million dollar properties and avid rehabber, he provides a well-rounded knowledge of real estate. He is also creative when bringing his properties exposure. For one Lakeview property, John hosted a Karen Lange art exhibit, which received coverage from NBC 5 Chicago. He also arranged for the listing to appear in a Discovery Channel biopic; the property ultimately sold for over $2 million. Real estate provides John a way to combine two things he loves: discovering the uniqueness of a property and connecting with other people. When not at work he resides with his wife Lynda and four sons in Edison Park. A lifelong Chicagoan, John knows where to find the best schools, parks, and entertainment, including where to eat! Some of his favorites include Big Star in Wicker Park or Bari Italian Subs in River West. He is a yearly participant in the Shamrock Shuffle and a member of both the Edison Park Chamber of Commerce and the Adler Planetarium.